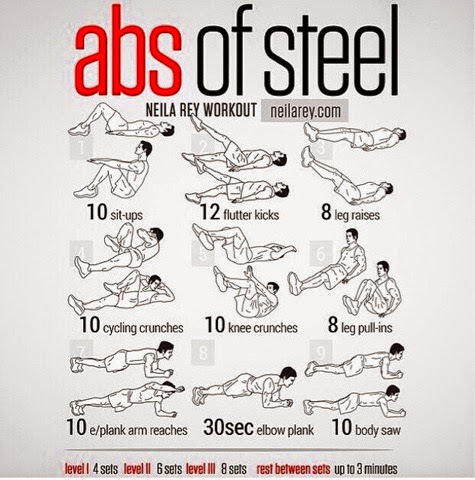 Nappturally Chic Jeré: Amazing Abs!!! Just Beginning: try this ab workout 4 times! After you have mastered four sets and it isn't a challenge anymore, move on to doing 6 sets. *make sure you rest for 3 minutes inbetwwen sets. If something feels really uncomfortable (a pulling/straining) stop!! !